Advanced liquid technology prevents and protects against irritations, hot spots, abrasions and more. 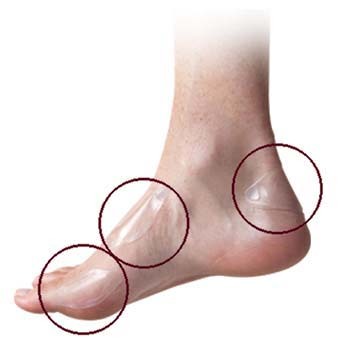 Unique liquid-filled bandages minimize friction and shear to prevent blisters, corns and calluses or to protect them after they've formed. SoreSpot Bandages change shape while you move for customized cushioning. Also effective for diabetic skin care and other friction-reduction applications.